The G5 Hybrid has a sloped crown which positions the center of gravity low and back to promote a higher launch and greater control. 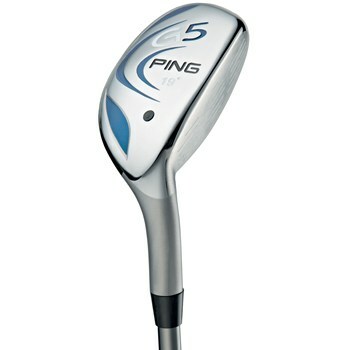 The 455 steel face is machined and robotically plasma welded to provide distance and consistency. The precision of the welding process allowed engineers to reposition saved weight on the sole to optimize spin for maximum distance and control. The compact head allows for golfers to use the G5 Hybrid from anywhere on the course they need to hit a long, high, soft-landing approach shot. The sloped crown creates a low and deep center of gravity. Plasma-welded, machined 455 Stainless Steel face for great distance and consistency. Playable from the tee, and most any lie on the course.